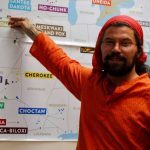 Bryan James Gordon, an applied linguist (MA University of Minnesota) has been helping the Umóⁿhoⁿ Language and Culture Center with technical, linguistic and curricular support since 2008, and is currently helping develop the new Level 1 “Umóⁿhoⁿ Íye-wathe” textbook. 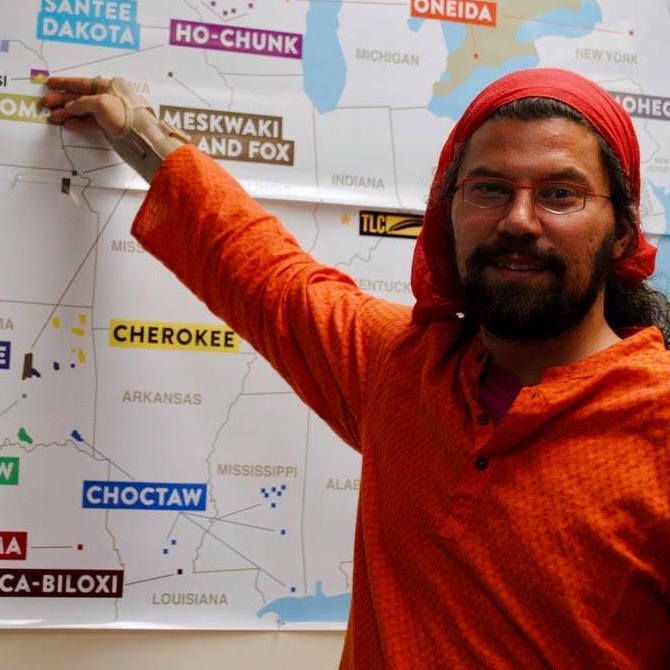 He has 7 years’ experience teaching community-based linguistic skills, through the Wounaan Oral Tradition Project in Panama, the American Indian Language Development Institute in Tucson, and locally with Umóⁿhoⁿ language teachers in Nebraska. His course on phonology will focus on the Umóⁿhoⁿ and Póⁿka sound and writing systems and the basics that teachers and learners need to be able to understand most of the different styles of writing that have been used for the languages, including but not limited to the writing style used in the textbook.